What: A study of the tectonic evolution of the Campanian-Eocene Chugach-Prince William (CPW) terrane in southern Alaska. This project has several distinct objectives that include: 1) understanding the regional depositional setting and source for of the CPW flysch; 2) understanding the intrusive history of this belt; and 3) determining the age and origin of the Knight Island ophiolite. When: 16 June – 14 July 2011 (tentative). Where: This project will be entirely in Alaska and will include the following locations:  orientation at the University of Alaska (Anchorage) and local field trips;  field work at Eshamy Bay lodge in western Prince William Sound;  cross the Kenai Peninsula and ferry to Kodiak;  eastern Kodiak Island and stay in a cabin at Pasagshak on Kodiak Island;  return Anchorage. Our field work will target two different areas in south central Alaska: [A] Knight Island Passage (western Prince William Sound). The first area (A on Fig. 1) will focus on the Orca Group, and was selected because of the excellent exposures of the Knight Island ophiolite (probably Paleocene), sedimentary rocks of the Paleocene Orca Group, and the presence of young (36-34 Ma) plutons that defy explanation in all published tectonic reconstructions for southern Alaska. [B] Kodiak Island. The second area (B on Fig. 1) is located in the Ghost Rocks formation of Kodiak Island which is the along strike equivalent of the Orca Group in PWS. Who: Six Students and Professors Cameron Davidson (Carleton College) and John Garver (Union College). This six-student project is focused on the tectonic evolution of the Chugach-Prince William terrane in south central Alaska. This thick accretionary complex is dominated by Campanian-Paleocene trench fill turbidites that were likely derived from the uplift and exhumation of terranes to the south in BC and Washington and then arrived in Alaska after coast-parallel translation. The accretionary complex has an imbricated ophiolitic suite, which is poorly studied in Prince William Sound. Near-trench plutons of the Sanak-Baranof belt and a younger suite of plutons provide distinctive thermal events and could be key indicators of plate position between 61 and 34 Ma. Two study areas will be: [a] rocks of the Orca Group in the Knight Island Passage area; and [b] along-strike correlative rocks of the Ghost Rocks of Kodiak Island. Student projects will be focused on thermal evolution of these rocks, provenance including U/Pb dating of detrital zircon, sedimentology/stratigraphy of turbidites, paleomagnetic studies of the Knight Island Ophiolite, and understanding the age and origin of late 36-34 Ma plutons. Figure 1. Tectonic map showing Chugach-Prince William composite terrane. This project will allow students to work in units that are classic in Cordilleran tectonics, and the results will directly feed into ideas of terrane translation and development of the Cordilleran tectonic collage. The project has broader significance because the translation, intrusive history, and exhumation of the CPW is directly related to deposition in flanking basins, including the hydrocarbon rich Cook Inlet basin. The Chugach-Prince William (CPW) composite terrane is a Mesozoic-Tertiary accretionary complex exposed for ~2200 km in southern Alaska and is inferred to be one of the thickest accretionary complexes in the world (Plafker et al., 1994; Cowan, 2003). The CPW terrane is bounded to the north by the Border Ranges fault, which shows abundant evidence of Tertiary dextral strike slip faulting, and inboard terranes of the Wrangellia composite terrane (Peninsular, Wrangellia, Alexander) (Pavlis, 1982; Cowan, 2003; Roeske et al., 2003). Throughout much of the 2200 km long belt of the CPW terrane it is bounded by the offshore modern accretionary complex of the Alaskan margin, but east of Prince William Sound the Yakutat block (light green, Fig. 1) is colliding into the CPW and this young collision has significantly affected uplift and exhumation of inboard rocks. Map of southern Alaska showing the distribution of rocks in the Chugach Prince William terrane (dark green) and the Yakutak terrane, which is colliding with Alaska. The two primary study areas are indicated on Kodiak Island (B) and in western Prince William Sound (A). Most of the Chugach and Prince William terrane is comprised of deformed trench-fill turbidites deposited over a relatively short interval of time (Campanian to Paleocene – c. 75-55 Ma) and by some estimates the volume of sediment is between 1-2 million km3 (i.e. Decker, 1980; Sample and Reid, 2003). The turbidites are imbricated with oceanic igneous rocks (pillow basalts and ophiolites of Resurrection Bay and Knight Island) that provide important clues about the nature and location of adjacent oceanic lithosphere. In the study area the primary units of this thick flysch facies are the Campanian-Maastrictian Valdez Group, and the more outboard Paleocene Orca Group and Ghost Rocks. Very soon after imbrication and accretion to the continental margin, rocks of the CPW were intruded by near-trench plutons of the Sanak-Baranof belt (SBB) that has a distinct age progression starting in the west (61 Ma on Sanak Island) and getting progressively younger to the east (50 Ma on Baranof Island) (Bradley et al., 200; Haeussler et al., 2003; Kuskey et al., 2003; Farris et al., 2006). Following structural burial and intrusion of the SBB plutons, the entire assemblage was progressively and diachronously exhumed with the youngest exhumation ages east of Prince William Sound in the St. Elias Range (Enkelmann et al., 2009, 2010). Paleomagnetic and geologic data indicate that the CPW has experienced significant coast-parallel transport in the Tertiary, although this conclusion remains controversial (cf. Cowan, 2003 and Haeussler et al., 2003). The CPW has apparent equivalents to the south, and this geologic match suggests that in the Eocene, the southern part of the Chugach-Prince William terrane was contiguous with the nearly identical Leech River Schist exposed on the southern part of Vancouver Island (Cowan, 1982; 2003). The geological implication of this hypothesis is profound yet elegant in the context of the Cordilleran tectonic puzzle: the CPW is the Late Cretaceous to Early Tertiary accretionary complex to the Coast Mountains Batholith Complex (CMBC) that intrudes the Wrangellia composite terrane (WCT) and North America. Thus, the CPW is inferred to have accumulated in a flanking trench to the west and then soon thereafter these rocks were accreted to the margin. This geologic match is elegant because it suggests that the CPW accumulated outboard the Coast Mountains Batholith Complex (Gehrels et al., 2009) and that the CPW essentially is the erosional remnants of that orogenic belt. The paleomagnetic data on rocks of the Chugach-Prince William terrane suggest long transport (see Coe et al, 1985, Cowan, 2003, and Gallen, 2008 for reviews). Recent reanalysis of the Ghost Rocks suggest that they formed at a latitude of ~41°N +8°/-7° and were subsequently translated northward by >1500 km since the Paleocene (Gallen, 2008). Thus the focus of this project is on the thermal and provenance of the very thick rocks of the CPW accretionary terrane that were intruded by near trench plutons and then translated along the North American margin in the Tertiary. Exhumation of the CPW. A key to understanding the evolution of the CPW is the timing and nature of exhumation revealed through cooling ages of zircon and apatite. The two study sites are ideally situated for thermochronology because their thermal history is poorly known and far enough apart to allow us to see along-strike changes in the orogenic belt. The Chugach-Prince William terrane has a distinct thermal/metamorphic history and a major scientific question that we are trying to address is the timing of metamorphism (prehnite-pumpyllite facies) and subsequent exhumation of the CPW terrane (i.e. Garver et al., 2010). Our preliminary data from reset fission tracks in radiation-damaged grains indicates a profound west to east progression in cooling that occurs between about 55 and 25 Ma. We are interested in adding to this data set with student projects aimed at documenting the time-temperature history of these rocks using fission-track, helium, or Ar/Ar dating. We are also interested in projects that address the temperature history of shale and/or sandstones using illite crystallinity (XRD), vitrinite reflectance, fluid inclusions, or carbon/graphic thermometry (Raman). Provenance of the sandstones and conglomerates of the CPW. A major question is whether the sediments of the CPW flysch are the erosional remnants of the Coast Mountains Batholithic Complex in Southeast Alaska and British Columbia. U-Pb dating of detrital zircon from the Orca Group and Ghost Rocks on Kodiak Island will provide important insight into the source of these sediments. The sandstone of the Valdez Group (Campanian-Maastrictian) and the Orca Group (Paleocene) are relatively well studied by traditional analysis (i.e. sandstone compositions as in Zuffa et al., 1980). The specific nature of the conglomerates (esp. in the Orca Group) is less well known and we know that there are many excellent exposures of sandstone-clast rich conglomerates in the PWS study area. Only recently have workers started to look at U/Pb ages of detrital zircon (Bradley et al., 2009; Amato and Pavlis, 2010). We know that both the Valdez Group and the Orca Group are replete with zircon (Garver, unpublished). Initial studies have suggested that the zircon ages are similar to what we’d expect from the Coast Mountains Batholithic Complex in BC (Haeussler et al., 2005). We are particularly interested in detrital zircon, because we know that will be successful and will immediately break new ground. However we are also interested in the application of other provenance techniques (e.g. Hf isotopes, or other varietal studies such as quartz provenance) that would shed light on the nature and age of the dissected volcano-plutonic source region inferred to have shed debris into this basin. The age and history of the Knight Island Ophiolite. The Knight Island Ophiolite (KIO) is undated, but assumed to be Paleocene in age because it is correlated with the relatively well studied Resurrection Bay ophiolite near Seward, Alaska. The well-exposed sheeted dike complex, pillow basalts, and plagiogranites of the Knight Island ophiolite should allow us to date and determine the paleolatitude of the ophiolite using U-Pb zircon geochronology and paleomagnetism. The KIO is undated but geologically it is constrained to have formed between the Maastrictian and Early Eocene. It is assumed to be Paleocene in age because it is correlated with the Resurrection Bay Ophiolite in Seward, Alaska dated at 57 Ma using U-Pb zircon from associated plagiogranite (Nelson et al., 1989). The unit has a number of plagiogranites, which may yield zircon. One distinctive attribute of the pillow unit is that it has interbedded sediments (including sandstones). These interbedded sandstones are important because they may provide a key link to the thick and dominant sedimentary rocks of the Orca Group. If this link can be made (perhaps by point counting, detrital zircon, or bulk geochemistry), the formation of the Ophiolite would have occurred during deposition of the thick trench-fill turbidites. This link is also crucial because of paleomagnetic data. The KIO has not been fully evaluated by Paleomagnetic studies but we do know that one experiment on pillows failed (A. Bol, personal comm., 2010). However the sheeted dike complex is untested and there is some available field mapping that will help our field efficiency (S. Nelson, USGS, personal communication). Tectonic significance of young, near trench plutons. From Whittier to Knight Island there is a cluster of plutons that are inferred to be 34-36 Ma (K/Ar ages only). This is a unique age and nowhere else in the CPW are there significant volumes of igneous rocks of this age. Geochemistry of the plutons, depth of emplacement, better age control, and perhaps paleomagnetism will hopefully reveal the tectonic significance of these rocks. Some have suggested these represent the thermal signature of a paleo-triple junction (i.e. Hauessler et al., 2003). We are interested in finding out more about these plutons that are well exposed in the PWS study area. We would like to know the overall chemistry and petrology, the depth of emplacement, and the relations of these intrusives to other intrusives in this part of Alaska or further to the south as they might represent a sort of piercing point along the Border Ranges Fault. Reasonable tectonic reconstructions would allow these rocks to restore to a position in SE Alaska, where rocks of this age are common. Thus we could envision projects that involved geochemistry, petrology, U/Pb dating, and an analysis of potential correlative rocks in SE Alaska. 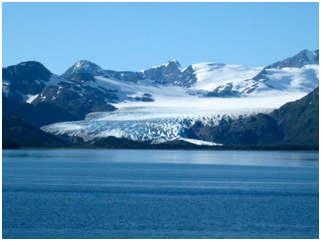 Field work will be in remote and isolated areas in Alaska that have special logistical challenges. Weather will be wet and rainy, so participants must be prepared with complete rain gear and rubber boots and gear for relatively cool temperatures. The average high in June and July is around 60°F and it typically doesn’t go below 40°F. Our primary mode of transportation is a Zodiac inflatable boats with a 25 hp outboard motor, and most of our field work is at or near sea level. Therefore, you must have a good pair of rubber boots with a good sole for marine conditions (Xtra tuf boots recommended). At Eshamy Bay, we will stay in a lodge where we will be able to sleep, cook, work on maps, and have group meetings. On Kodiak we will stay in a small cabin on the ocean at Pasagshak Bay. Our daily routine will include packing lunches and leaving for a day of fieldwork using skiffs. All participants will be required to wear personal floatation devices and we will be trained in boat safety and handling while doing shoreline geology. There is near 100% exposure along the shore with a large tidal range (5-7 meters) that allows spectacular access to the geology. We will be able to communicate with each other via cell phones and VHF radios. Each boat will have a marine GPS unit with built in tide tables. Our day will finish with dinner and a group meeting to discuss progress and scientific goals for the next day. Historical Geology, Structure/Tectonics, Stratigraphy, Mineralogy and Petrology. Experience at a field camp or in a field geology course is strongly recommended but not required. Work from this project must carry over into the senior year (2011-12) as a senior thesis. Amato, J.M., and Pavlis, T.L., 2010. Detrital zircon ages from the Chugach terrane, southern Alaska, reveal multiple episodes of accretion and erosion in a subduction complex; Geology; v. 38; no. 5; p. 459-462. Bol, A.J., Coe, R.S., Grommé, C.S., Hillhouse, J.W., 1992. Paleomagnetism of the Resurrection Peninsula, Alaska: Implications for the tectonics of southern Alaska and the Kula-Farallon ridge, J. Geophys. Res. v. 97, p. 17213-17232. Bradley, D.C., Kusky, T.M., Haeussler, P.J., Goldfarb, R.J., Miller, M.L., Dumoulin, J.A., Nelson, S.W. & Karl, S.M. 2003, Geologic signature of early Tertiary ridge subduction in Alaska; Geology of a transpressional orogen developed during ridge-trench interaction along the North Pacific margin, Special Paper – Geological Society of America, vol. 371, pp. 19-49. Cowan, D.S., 2003, Revisiting the Baranof-Leech River hypothesis for early Tertiary coastwise transport of the Chugach-Prince William terrane. Earth and Planetary Science Letters, v. 213, 463-475. Dusel-Bacon, Cynthia, Csejtey, Béla, Jr., Foster, H.L., Doyle, E.O., Nokleberg, W.J., and Plafker, George, 1993, Distribution, facies, ages, and proposed tectonic associations of regionally metamorphosed rocks in east- and south-central Alaska: U.S. Geological Survey Professional Paper 1497-C, 73 p., 2 pls., (1:1,000,000-scale colored map). Enkelmann, E., Zeitler, P.K., Garver, J.I., Pavlis, T.P. and Hooks, B.P, 2010. The thermochronological record of tectonic and surface process interaction at the Yakutat-North American collision zone in southeast Alaska; American Journal of Science, v. 310, p. 231-260. Enkelmann, E., Zeitler, P.K., Pavlis, T.L., Garver, J.I., Ridgway, K.D. 2009. Intense Localized Rock Uplift and Erosion in the St. Elias Orogen of Alaska. Nature Geoscience 2, no. 5, p. 360-363. Farris, D.W., Haeussler, P., Friedman, R., Paterson, S.R., Saltus, R.W. & Ayuso, R. 2006, Emplacement of the Kodiak Batholith and slab-window migration, Geological Society of America Bulletin, vol. 118, no. 11-12, pp. 1360-1376. Garver, J.I., Enkelmann, E., Kveton, K.J., 2010. Uplift and exhumation of the Chugach-Prince William Terrane, Alaska, revealed through variable annealing of fission tracks in detrital zircon; Geological Society of America Abstracts with Programs, vol. 42, no. 4, p. 46. Gallen, S.F., Housen, B.A., Roeske, S.M., O’Connell, K., 2007. Revisiting the Paleomagnetism of the Ghost Rocks Formation of the Kodiak Islands, Alas, Eos Trans. AGU, 88 (52), Fall Meet. Suppl., Abstract GP43C-1499. Girardi, J., 2009, U-Th-Pb geochronology of the Coast Mountains Batholith in north-coastal British Columbia: constraints on age, petrogenesis, and tectonic evolution. Bulletin of the Geological Society of America, v. 121, p. 1341-1361. Haeussler, P.J., Bradley, D.C., Wells, R.E. & Miller, M.L. 2003, Life and death of the Resurrection Plate; evidence for its existence and subduction in the northeastern Pacific in Paleocene-Eocene time, Geological Society of America Bulletin, vol. 115, no. 7, pp. 867-880. Nelson, S.W., M.L. Miller, and J.A. Dumoulin, 1989, Resurrection Peninsula Ophiolite, in Guide to the Geology of Resurrection Bay, Eastern Kenai Fjords Area, Alaska, Guidebook, edited by S.W. Nelson and T.W. Hamilton, pp. 10-20, Geol. Soc. of Alaska, Anchorage. O’Connell, K. 2008, Sedimentology, structural geology, and paleomagnetism of the ghost rocks formation; Kodiak islands, Alaska; M.S. Thesis, University of California at Davis, Davis, CA, United States, (USA). Pavlis, T.L., 1982, Origin and age of the Border Ranges Fault of southern Alaska and its bearing on the late Mesozoic Tectonic Evolution of Alaska: Tectonics, v. 1, n. 4, p. 343-368. Perry, S.E., Garver, J.I., Ridgeway, K., 2009, Transport of the Yakutat Terrane, southern Alaska, evidence from sediment petrology and detrital zircon fission-track and U/Pb double dating: Journal of Geology. v. 117, n. 3, p. 156-173. Plafker, G., Moore, J.C. & Winkler, G.R. 1994, Geology of the Southern Alaska margin in The geology of Alaska, eds. G. Plafker & H.C. Berg, Geological Society of America, Boulder, CO, United States (USA), United States (USA). Plafker, G., Nokleberg, W.J., Lull, J.S., 1989, Bedrock geology and tectonic evolution of the Wrangellia Peninsular, and Chugach terranes along the trans-Alaska crustal transect in the Chugach Mountains and southern Copper River Basin, Alaska: Journal of Geophysical Research, v. 94, No., B4, p. 4255-4295. Weinberger, J. & Sisson, V.B. 2003, Pressure and temperature conditions of brittle ductile vein emplacement in the greenschist facies, Chugach metamorphic complex, Alaska; evidence from fluid inclusions; Geology of a transpressional orogen developed during ridge-trench interaction along the North Pacific margin, Special Paper – Geological Society of America, vol. 371, pp. 217-235.